BUENOS AIRES — Argentina’s three-week-old farm strike took a turn for the worse today when protesting farmers released hundreds of cows into the Buenos Aires’ city center. The herds have apparently gone unfed for days, and the angry cows are now wreaking havoc on downtown Buenos Aires, bringing traffic and commerce to a halt. Reports have come in of the cows breaking into the city’s supermarkets, restaurants, and terrifying the city’s schoolchildren. Argentine President Cristina de Kirchner went on national television last week and said plainly that she will not negotiate with the strikers. Farmers hope that the 50 cows defecating outside the Casa Rosada and grazing in Plaza de Mayo will change her mind. 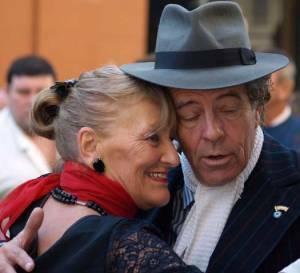 Welcome to San Telmo, the Buenos Aires neighborhood known for Tango, street fairs, tourist traps, and tender moments like these. This edition of the photo of the week comes to you courtesy of Louhan (gracias!) who is torturing himself with a trip around the world and plenty of photo ops. This week we travel to the dry northwest of Argentina, where ladigue_99 captured this exceptional shot of the Salinas Grandes. 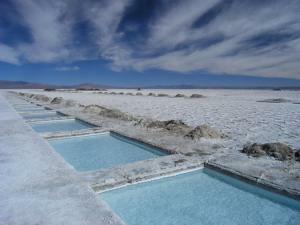 The Salinas Grandes are salt mines, or salt pans, built into the flat, dry highlands of the Argentine northwest. The Salinas are located in the Jujuy province of Argentina, same as the Quebrada de Humahuaca. This page rendered in 0.448 seconds.